Hello, I am Mama Miyuki , I am a mother of two sweet and cute daughters. The oldest is three years old and her younger sister is still a baby. An Indonesian living in Sendai, Japan who is very passionate about food and eating out, and this is what this blog is all about..food..food..food. I will focus on Indonesian cuisine and favorite international dishes flourishing in Indonesia. Knowing where to get the best food available and to be able to serve good food to people was serious business for my parents. It is an important part of entertaining families who are dearest to you, and to keep your business partners happy. Every week we would check out restaurants or order to taste and make a list of their specialties and pricing. This habits stayed with me as I enjoy doing it. Don’t worry, I never studied hotelier so I will not give you complicated recipes. I call this easy pantsy because it seems so effortless yet it is so tasty. The recipes you will find are recipes from my mom, my mom’s friends, my friends, cook book and internet, of course! In most of the cases, I adjust the ingredients to my taste and try to find the easiest ways to prepare them. This blog is dedicated to provide adjusted easy Indonesian recipes for those who miss Indonesian cuisine. Moreover, to inspire “You” to open an Indonesian stall, restaurant or catering outside Indonesia. So, join the bandwagon and enjoy an exciting journey with “Mama Miyuki Easy Pantsy”. Hi Nat! On the Balinese Sauce, I’m quoting from Chef Gusti Sanjaya.Here are several in a glance. I will add recipes in practice for the next editions. Wow! This is great! Thank you!! Makasih..Yoi habis bikin ngiler sih..lay outnya keren..pake theme apa? Wah, beruntung sekali orang Berlin.. I like the topic of your blog. It’s great to be sharing the authentic Indonesian recipes. There’s an Indonesian restaurant here in Albany NY, but for us Indonesian the taste is not the same… I think they have modified it too much to accommodate the American taste buds, which I think is too bad because then people will think that’s the authentic Indonesian taste. But then if I were to open an Indonesian restaurant here, maybe I’ll ended up with no customers since the food is too spicy hehe… Blogging is definitely the way to do it! Good for you!! Hi Crysant, glad that you enjoyed. It happens everywhere. Oh, but a blogger in Germany told me that Nusantara restaurant is really spicy, really original and they are popular. That’s why this blog is for those who seeks the taste that they have tasted. But I also adjusted a lot like decreasing the spicy volume but not the main ingredients. Anyway, enjoy! no worries, your blog is also very cool..hidup makanan! HI Miyuki. Thank you for Liking my food blog! Your “About Me” page was a delight to read. It inspired me to expand my own “About Me” page because I didn’t have much on there. So thank you for inspiring me! Hi Mama Miyuki, thank’s for following my blog : ninikbecker.wordpress.com. Wow, how nice! Yes, keep posting recipes..so I can learn too.. Yes, your blog is great! Don’t worry you Will enjoy! Hi, thanks for liking my blog post about Classified in Hong Kong! You have a lot of nice recipes here, keep it up! lol I love the “easy pantsy” part of your blog name. There are no good indonesian restaurants in my part of the world. I can’t wait to go through your posts and try some of your amazing recipes! Mama Miyuki – Thank you for finding my blog and following. I have been looking for a good blog about Indonesian food and I think I have found it! Hope you will enjoy as I enjoy your blog too.. I did not get confirmation that I am following your blog. I, and some other bloggers, have found that it only works to click on “click to follow” links in the blog page (I don’t know why). I could not find one on your blog. It’s OK if you don’t want to add one. I’ll just check back from time to time. Finally figured out the problem. I needed to go into the “reader” page on WordPress and edit the e-mail notifications. Changed it from “never” to “instantly”. It seemed that blogs where I signed up using the black bar button automatically went to “never” setting. Sorry to trouble you. Hi…thanks for following my Not In India blog and even more for bringing me here to your blog. Looks like I will really enjoy exploring…I love new ideas in food… And if you are interested, you might enjoy following my adventures in India. I am back in India now and am posting almost every day for the time being on my India Journal BLog. http://janesindiajournals.wordpress.com. Looking forward to enjoying myself here on your blog. Hey, thanks for following my blog. I hope you try out some of the tasty recipes sometime. I’ve got a wide range of recipes from healthy choices to rich, decadent desserts, and everything in between! Please let me know if you try anything and how it turned out! 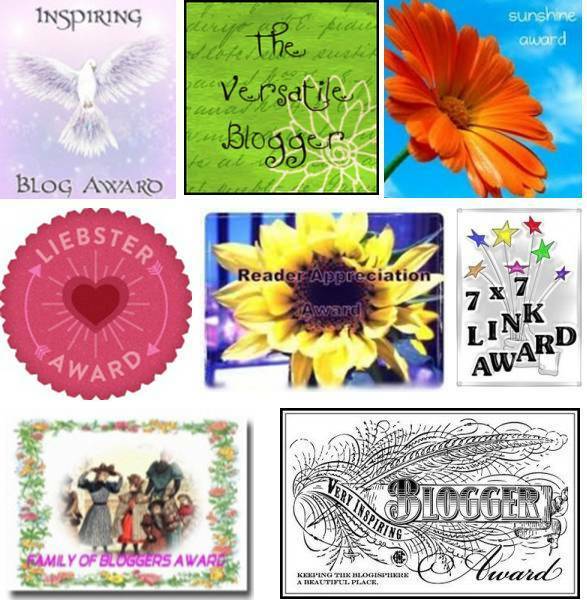 hey mama miyuki thanks for stopping by my blog…..and thanks for the follow…. Hi Mama, thank you for stopping by Through Harold’s Lens. Love your Follow as I am now Following you. I hope I can offer images as enticing as your food!! May you and your family have a very happy and healthy New Year!!! Salam kenal dan sekalian Selamat Tahun Baru 2013. Thank you so much. I am also glad to have found your blog too.. Thanks for stopping by (and following) my beachbums blog. I’m glad I had a chance to read some of your posts ~ your recipes and photos are great! Lovely family! Thank you for coming to see me on my blog.I will have a good time here,I am sure.I ‘water down’ and post very basic recipes to teach and to give confidence to those who think they can’t cook or entertain, but for myself,I am always interested in new flavors and ideas. I hope to be seeing a lot of you. How nice, I was also delighted to find you blog. Hope to learn a lot from you too. Thank you for following my blog. I will do the same for you. Happy cooking and eating! Just Lovely, Mama Miyuki!!! New and revised ‘About’ with a new, sweet family photo! Did you have your baby in the last few months while blogging? 😉 I have been to Sendai a few times, my ex-husband’s family are all from Sendai. Were you in Sendai when the tsunami hit the area close by? You have a robust recipe list. I am very impressed! 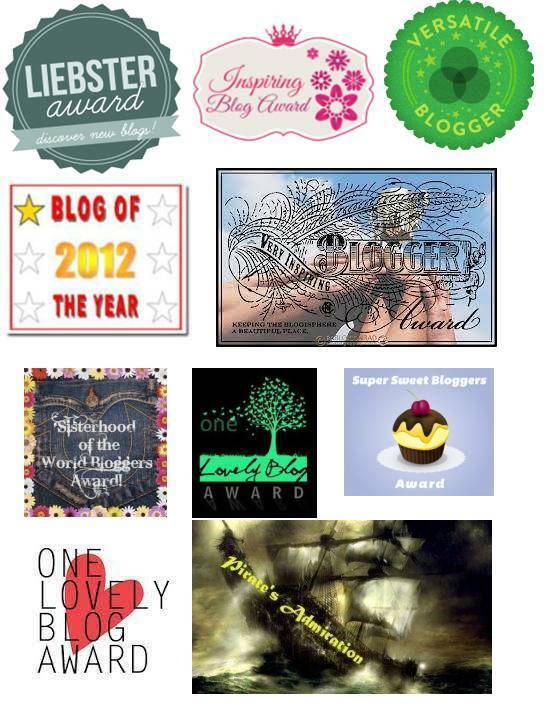 I see that your blog has been previously been nominated with the Liebster Award. I hope you do not mind me re-nominating it. I have been enjoying the wonderful posts you wrote. I wouldn’t have known about the garbage chicken (should I just say Ayam Sampah?) if I had not read about it here. Thank you so much..Sorry I just saw this.. Thanks so much for the follow. Fabulous blog and recipes! It was awesome to find yours! thanks so much for visiting my blog and liking it, great to find yours – fun title, and the chicken feet had me fascinated. Hope you enjoy my blog too! I think yours looks lovely and eclectic recipe choices! I have found your blog by pure casualty. Since I love ethnic food, I think I’ll visit your blog quite often. The only thing that I might find difficult is finding certain ingredients since in Albania Asian food is not that popular so we do not have Asian food markets.